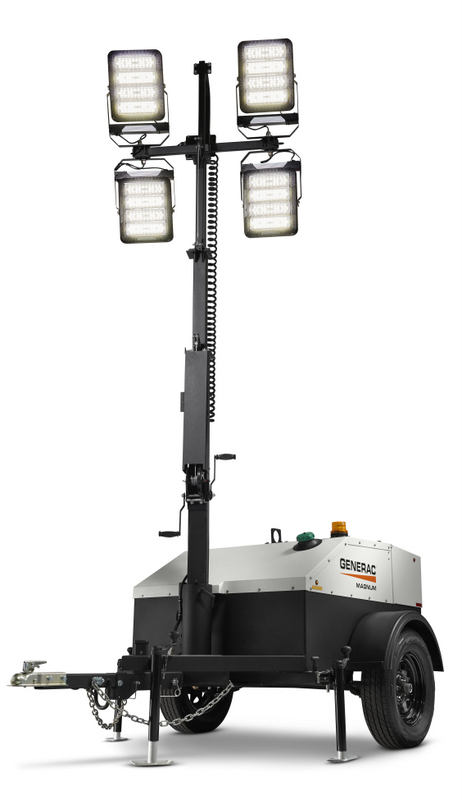 Generac Mobile Products continues to lead the way in innovative, efficient mobile lighting with the new and improved MLT4060MVD LED mobile light tower. Purpose-designed for applications in remote locations and extreme environments, this light tower includes features that allow for autonomous operation. An extra-large fuel tank and low fuel consumption allow the tower to run up to 533 hours on a single diesel tank fill and a 750-hour oil change interval, minimizing maintenance costs. New, more powerful 296 W LED fixtures provide powerful illumination. 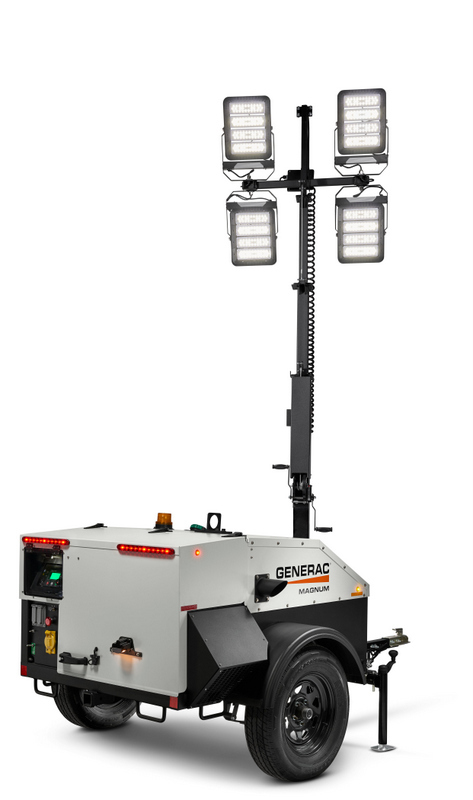 Generac Mobile Products has nearly doubled the amount of total lumens to 172,200, providing equivalent light coverage to that of a metal halide light tower without the hassle of bulb degradation and replacement. In fact, Generac LEDs are designed to last the lifetime of the light tower, with a 10-year life expectancy. The tower is outfitted with many easy-to-use features. Standard on the MLT4060MVD is the Power Zone Autolight Controller, which offers users programmable settings for automated control, including start/stop and dusk-to-dawn settings. The 23-ft vertical mast deploys quickly and easily and is fully rotational from ground level. The four Generac LED fixtures light up instantly, so there is no waiting for warmup, cool-down or restrike. Fixtures are built to last, without glass. The impact-resistant plastic modules are IP68-rated against water and dirt ingress. MLT4060MVD light towers are designed to withstand the rigors of the outdoor working environment. Each tower has a durable, rust-resistant aluminum cabinet – designed to stand up to weather extremes. New gas-assisted struts make the flip hood easy to raise, providing for ease of service and maintenance. For more info from Generac, click this link. We promise meaty content.